Bonus games, free spins and wilds, oh my! Try them all at 888casino! Have you ever wondered how to play slot machine games? There is so much more to slots than simply clicking a spin button and hoping for the best. For starters, did you know that there are 3 basic types of slots games: classic slots, video slots, and progressive slots. Each one is unique. Classic slots typically feature 3 reels and a handful of paylines, while video slots are played on 5 spinning reels and multiple paylines. Progressive slots are the money spinners. They are linked across a network and a percentage of each bet goes towards the progressive jackpot prize pool. Now that you know a little bit more about the types of slots games out there, let’s move on to the next topic: How to play slots! And Win! Slot machine games are games of chance. This means that players cannot influence the outcome of the game. Every slot game is governed by a Random Number Generator (RNG). This computer software ensures that every outcome is 100% random. In fact, the outcome of every slots spin is determined at the precise moment you click the spin button, even if the reels are still spinning. Slots RTPs (Return to Player) percentages range between 80% and 98% on average. Before you play, pick a slot game with the highest possible RTP. Slots feature a handful of buttons. Luckily, you don’t need to study up on this topic. You will see a Bet button, Lines button, Paytable button, and a Spin button on all slot machine games. These are self-explanatory. Click the up/down or left/right arrow buttons alongside the Bet button to increase or decrease the size of your bets. Some slots have fixed paylines in play, while others allow you to toggle the number of lines. For the best chance of winning, play maximum lines at wagers that you can afford. How to Place Slots Bets? The size of your slots bets depends on your bankroll. If you have a $500 bankroll for slots games, and you wish to play for 5 hours, you can allocate $100 for each hour of play. Take note that you can burn through cash quickly with slot games, so set a budget. You may wish to play at $1 per spin, or less to enjoy your slots gaming sessions. If you’re looking to win big jackpots, you’ll probably need to bet more and play for less. The best advice we can give you is this: Set a slots budget and stick to it. Slots games may come in a variety of styles and themes, but most slot games have the same internal components. Slots contain reels that spin once your bet is placed and the game is started. Slots do not have a set number of reels, however, games with more reels generally contain more paylines. Paylines are lines that are pre-defined across the reels. When reels line up to complete paylines, players will win according to the paytable for that particular game. A paytable is a list that generally contains game rules as well as the payout for each type of payline win. A payout is the amount of money or coins received as a result of a particular win. As well as the technical features, online slots contain a variety of thrilling game features, such as free spins, which are earned throughout the game, allowing players the chance to spin and collect more winnings. Bonus games, special games that occur within the base game, are generally triggered when a player hits a specific combination within the reels and also provides players with the opportunity at winning huge sums, generally larger than the winnings offered in the main game. 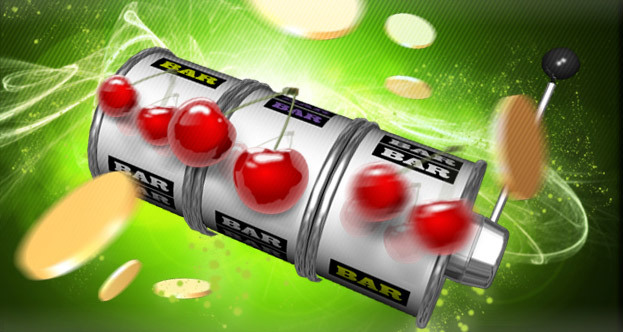 Jackpot games are online slots games that contain running Jackpot totals that can be won at any time. Scatter symbols land on the reels and can trigger bonus games, while wild symbols can change the icon on a reel to match to other icons on your payline, resulting in a win. Wild symbols substitute for all other symbols except for Scatter and Bonus symbols to form winning combinations. Multiple Scatter symbols can award Free Spins to players. They can also activate Bonus rounds. On video slots, 5 identical symbols award the biggest payouts. Slots games usually have low-paying symbols and high-paying symbols. Examine the bet lines to see how winning combinations can be formed. You may be lucky to discover the RTP (Return to Player) of a slot machine game. This information is not always available, but if it is always pick the highest RTP to ensure the best possible payoffs. That’s all it takes folks! Should You Always Play Maximum Bets and Maximum Lines on Slots? You’ve probably heard people say that you should always bet as much as possible on all paylines. If this is within your budget, you may want to test this strategy on a few of your favorite slot machine games. However, it’s always best to put fun first with slots games. A better strategy is to play at bets you can afford on maximum paylines. This strategy may not always award you the biggest jackpots, but it will ensure that you’re enjoying your slots sessions and maximizing your bankroll in the process. Remember never to chase your losses on slots or other casino games. The goal is to have fun and winning is a nice little bonus! Since they were invented, slots games have been a popular form of entertainment. Originally placed in bars and barber shops, patrons would play slots for entertainment at a cost of one nickel, and winners received prizes such as fruit flavoured gum and candy. Today, slot machines have come a long way and contain many exciting and fun features to enhance an already thrilling game. Combined with massive wins and a variety of new styles, such as jackpot slots, video slots and more, slots have become one of the number one casino games in the world.